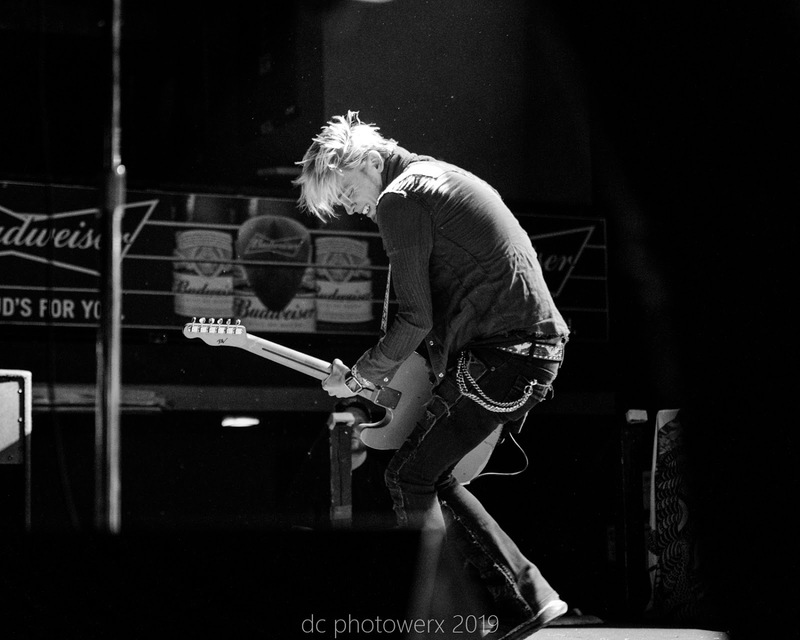 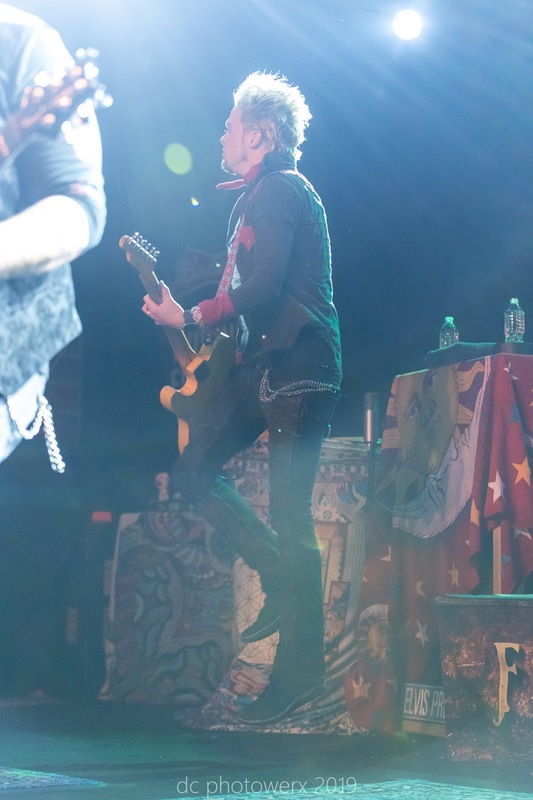 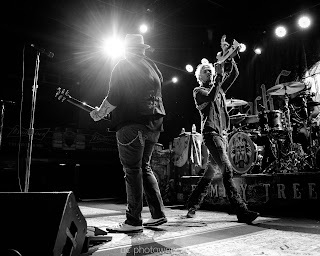 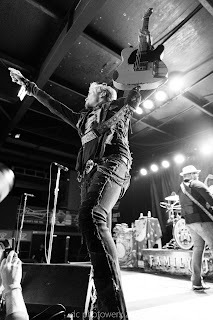 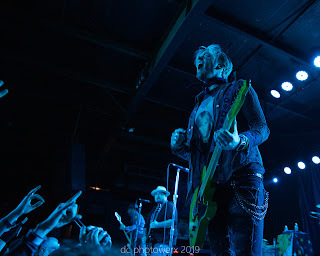 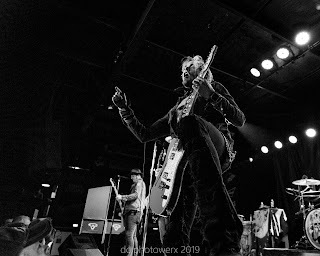 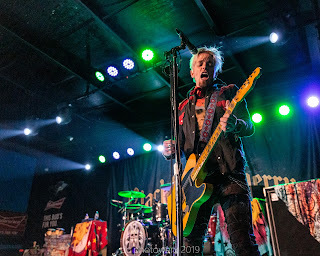 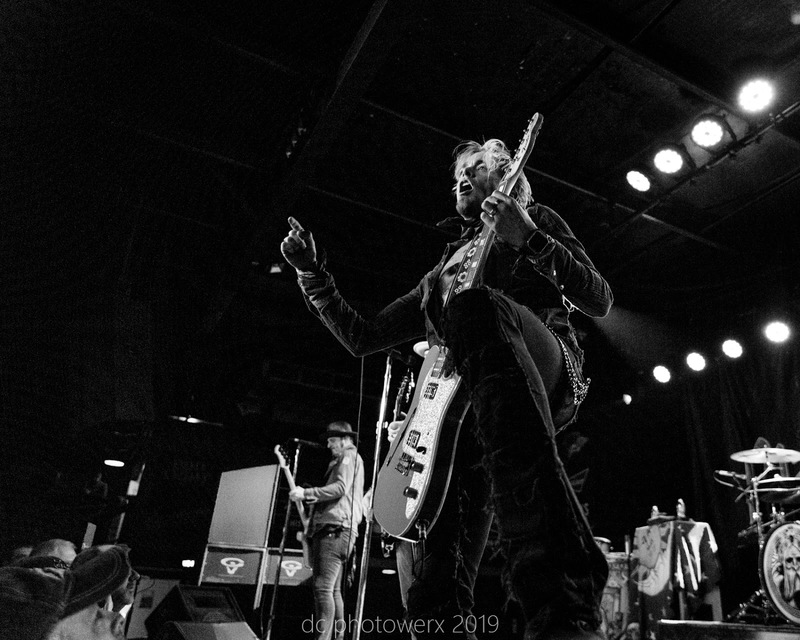 After seeing, photographing, and reviewing Black Stone Cherry two previous times, I will not be writing a lengthy review. The fact that I’ve seen any band more than two times should be proof positive they might have something good going on! 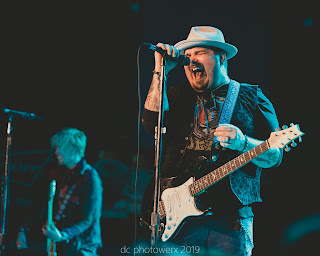 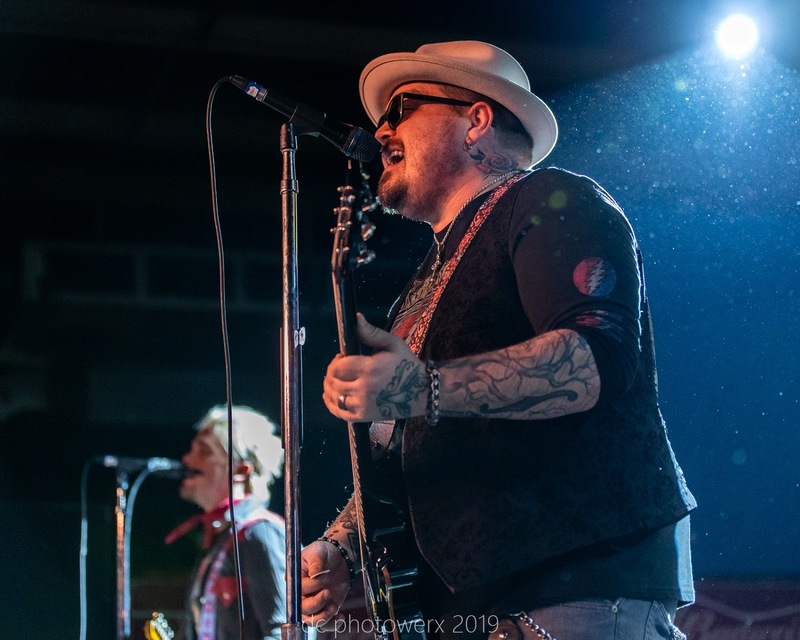 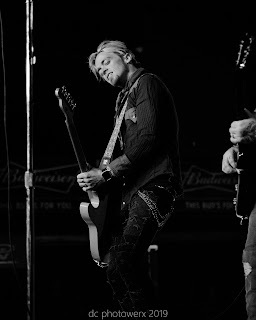 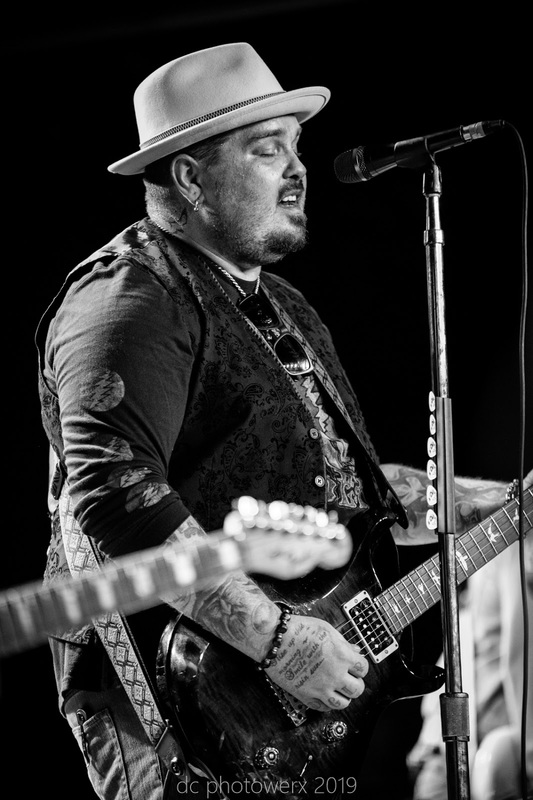 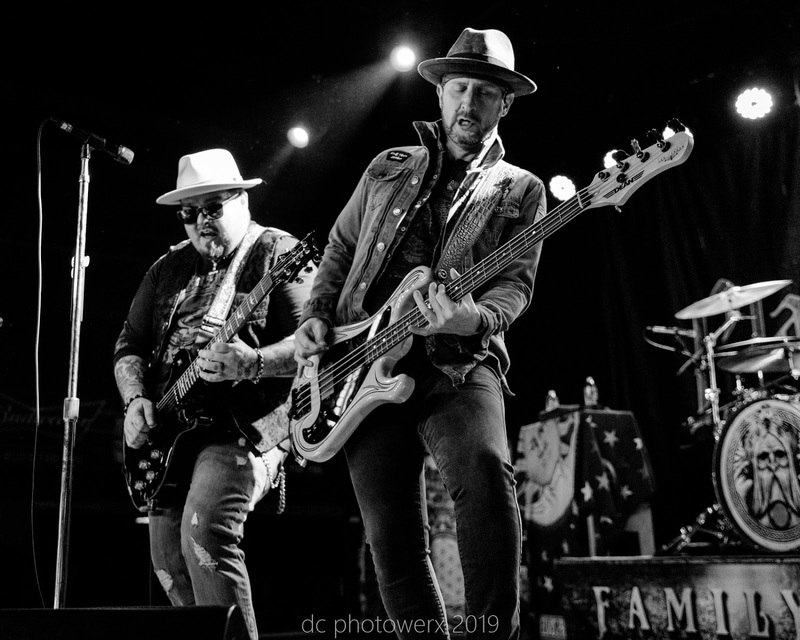 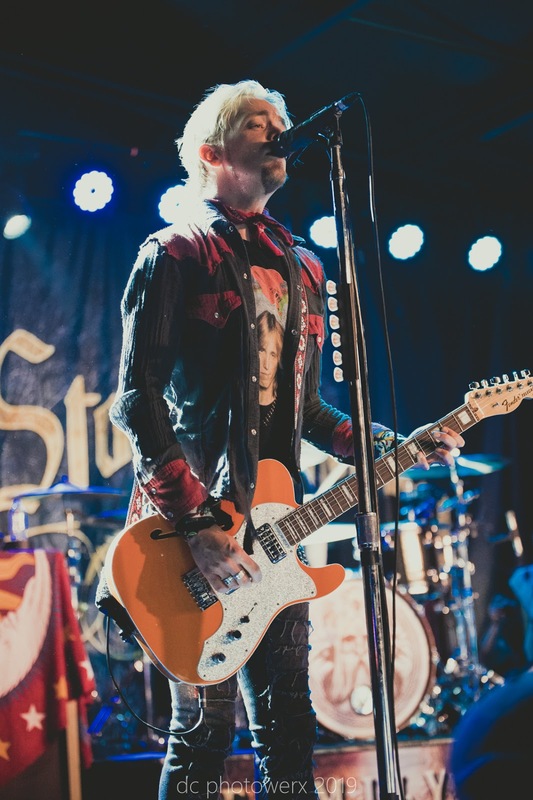 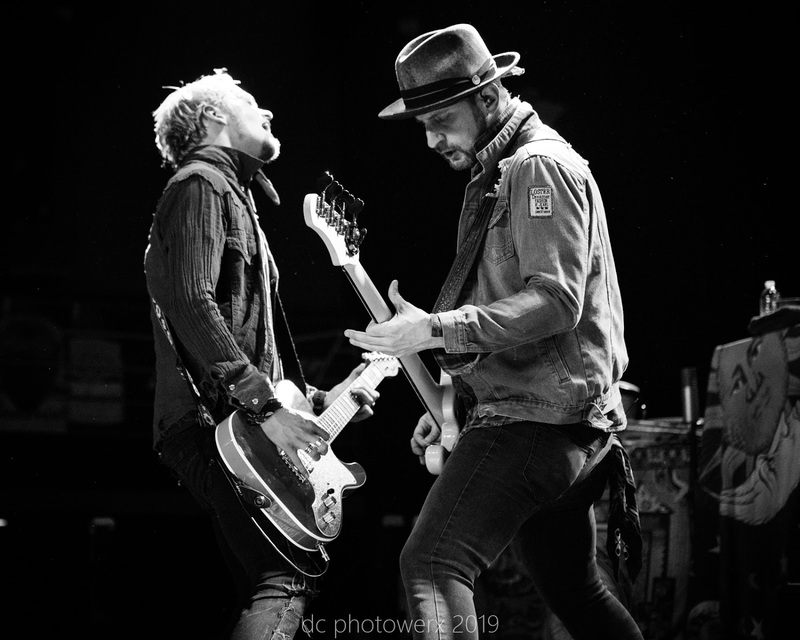 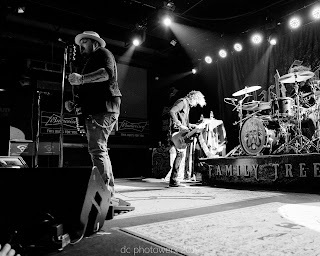 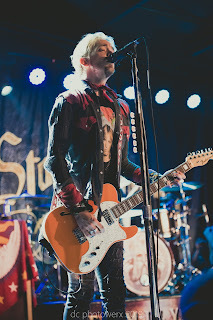 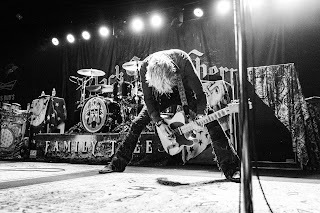 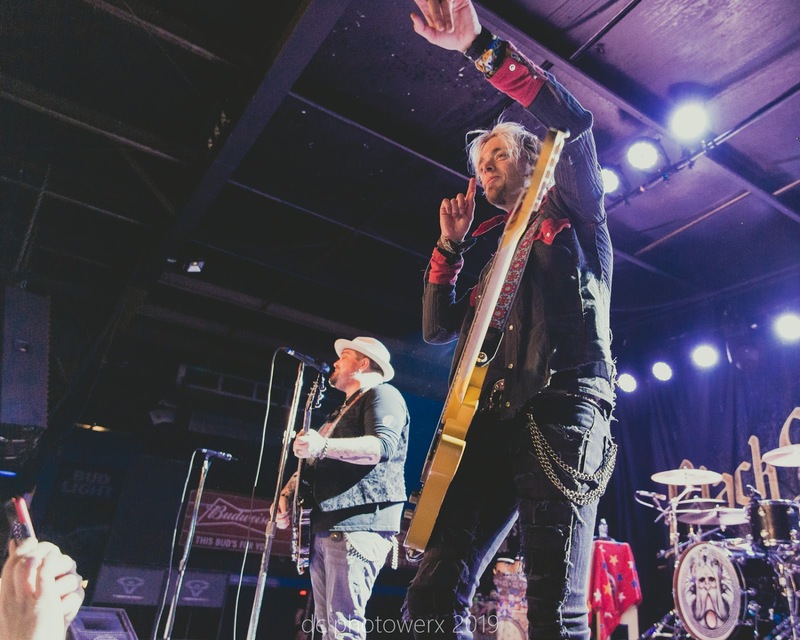 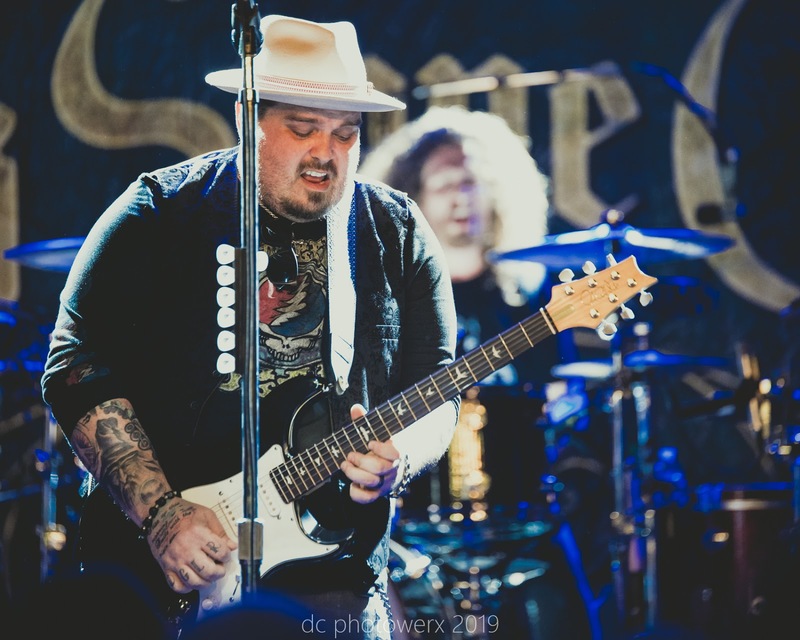 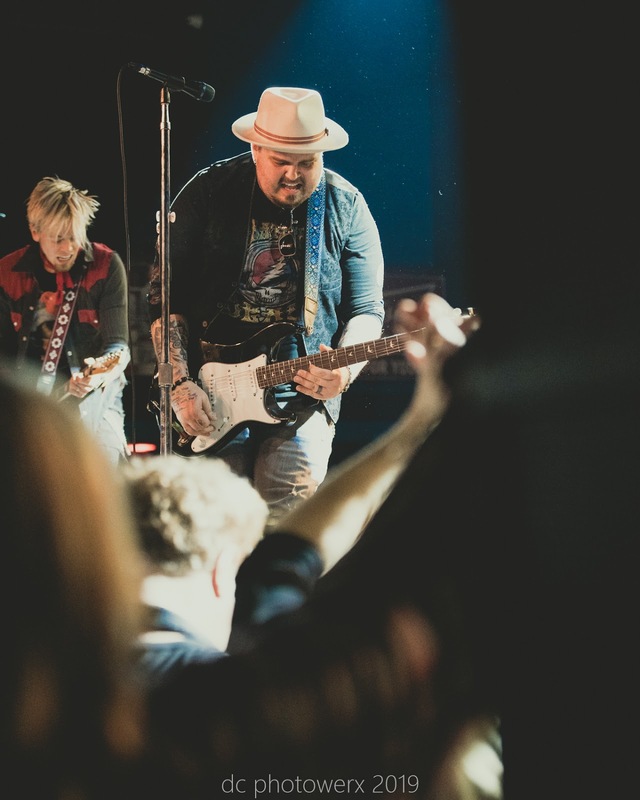 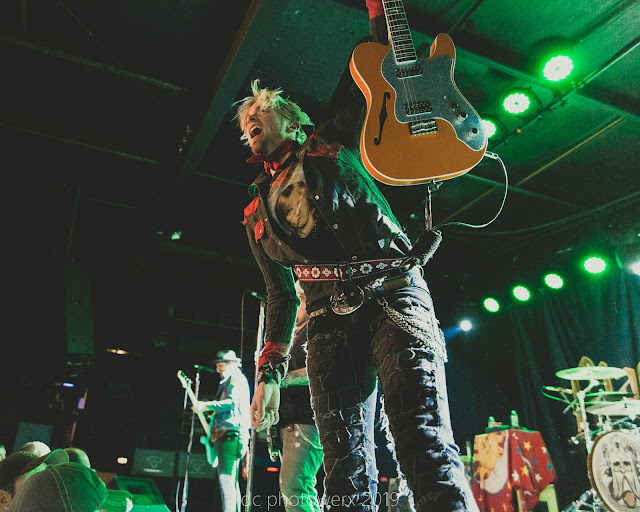 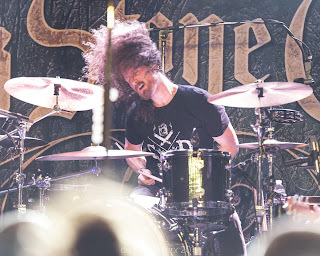 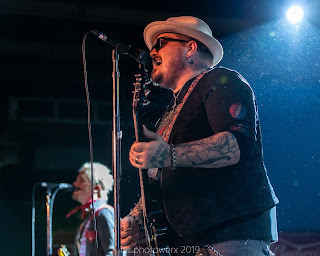 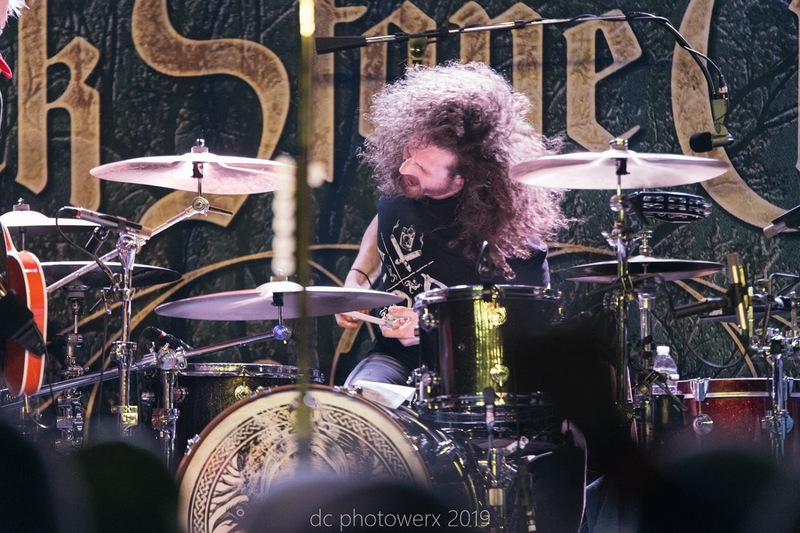 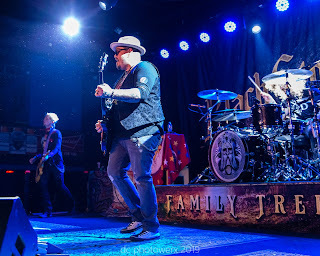 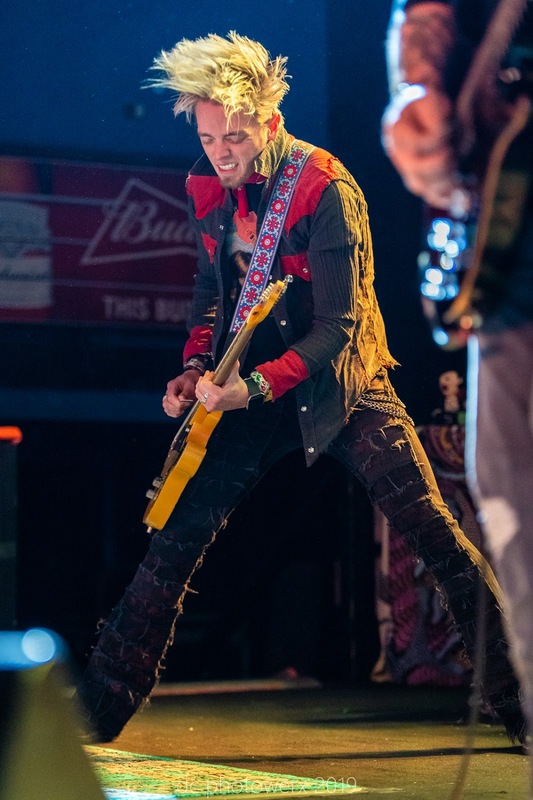 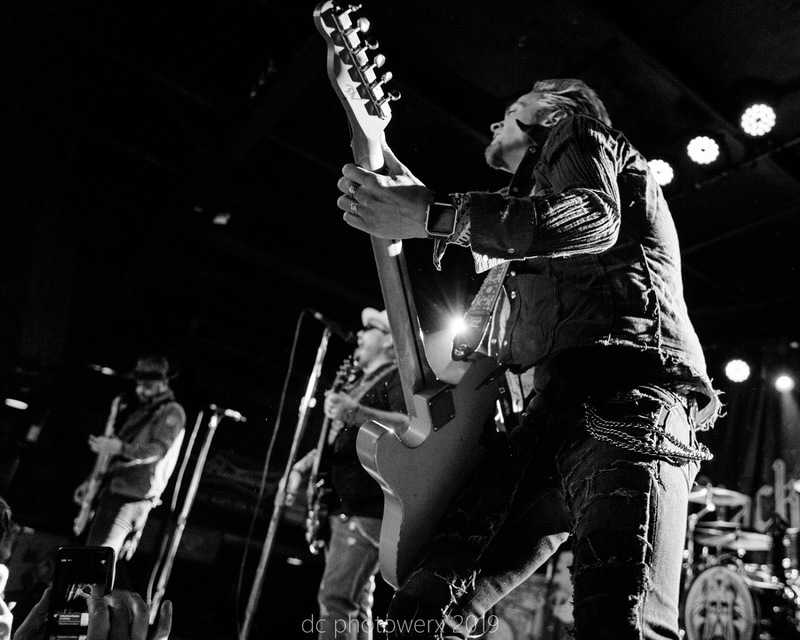 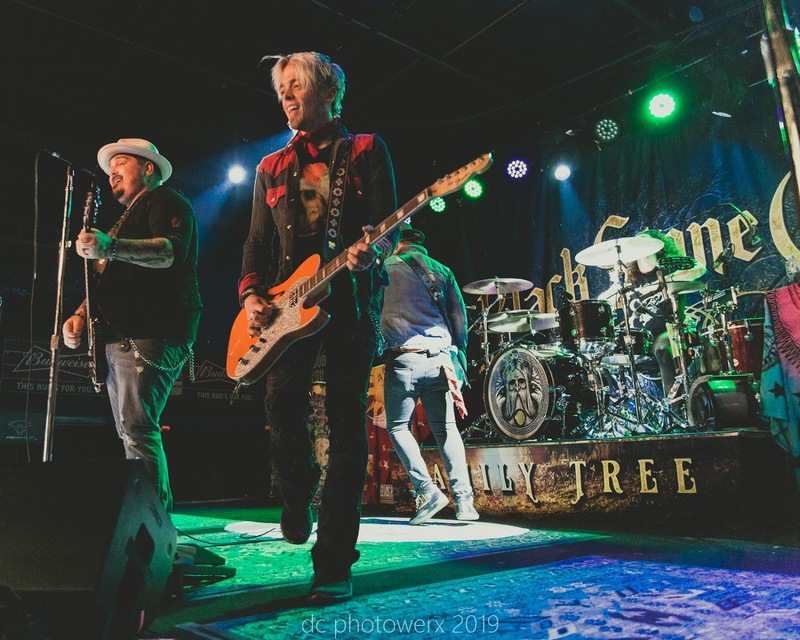 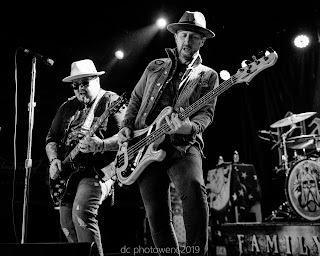 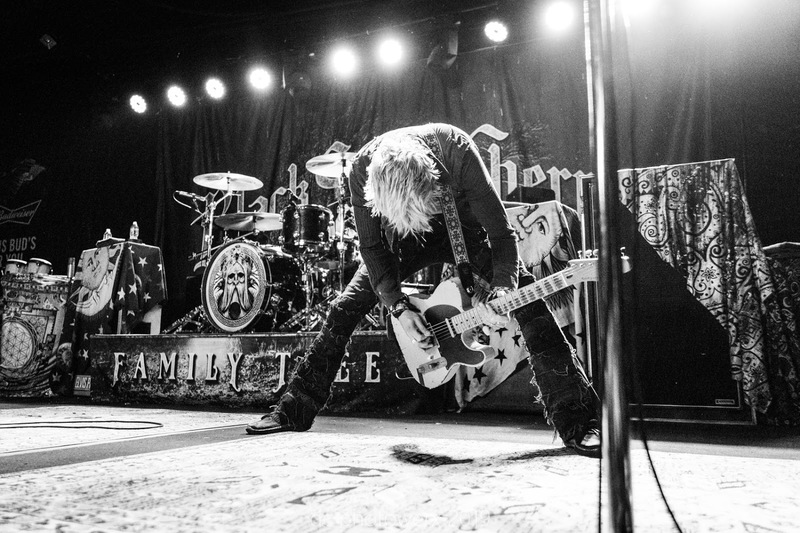 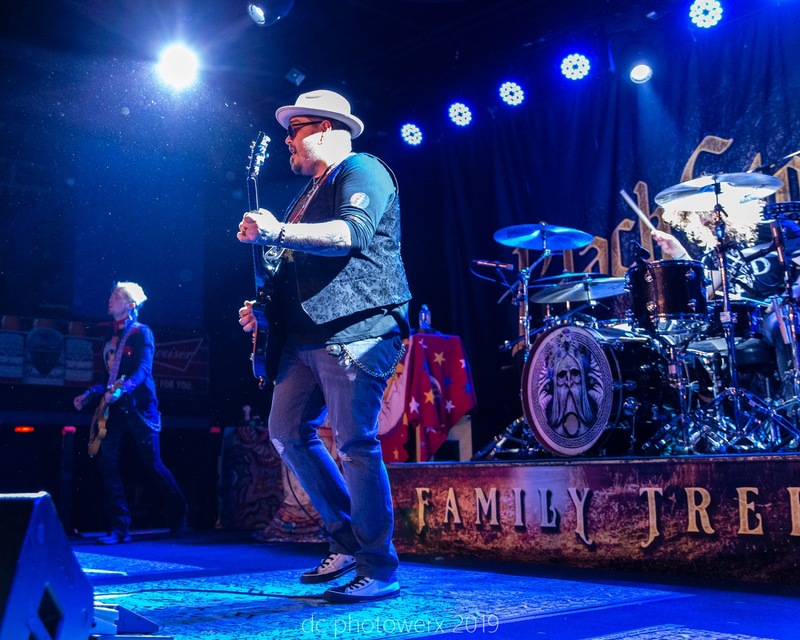 Black Stone Cherry is not currently supporting any new music as their latest album, Family Tree, came out in February 2018. 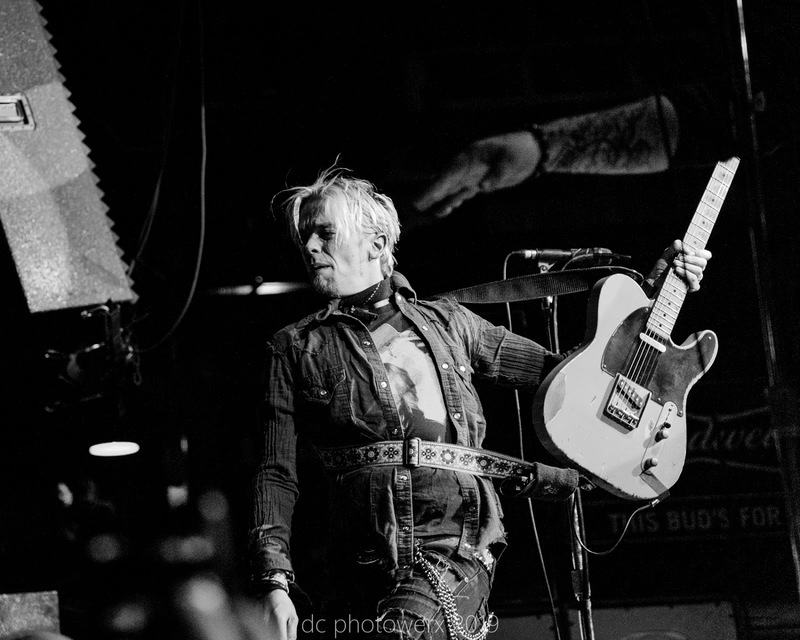 Through a casual conversation, I discovered the show at Pop’s was a primer for an impending string of European dates. 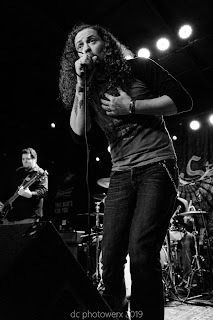 They are also recruiting fans for an upcoming video for the song, “My Last Breath”. 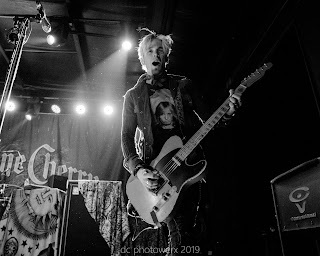 The fans affectionately known as “Cherry Heads” are encouraged to send in their responses to what they would spend their last breath on. 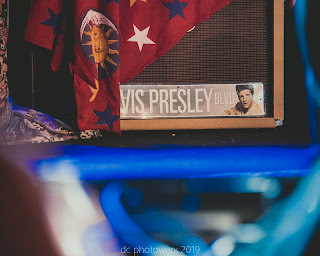 Barring hearing the band through a bad house PA system at my first Cherry show in Dayton, OH, the musicianship has always been top shelf! 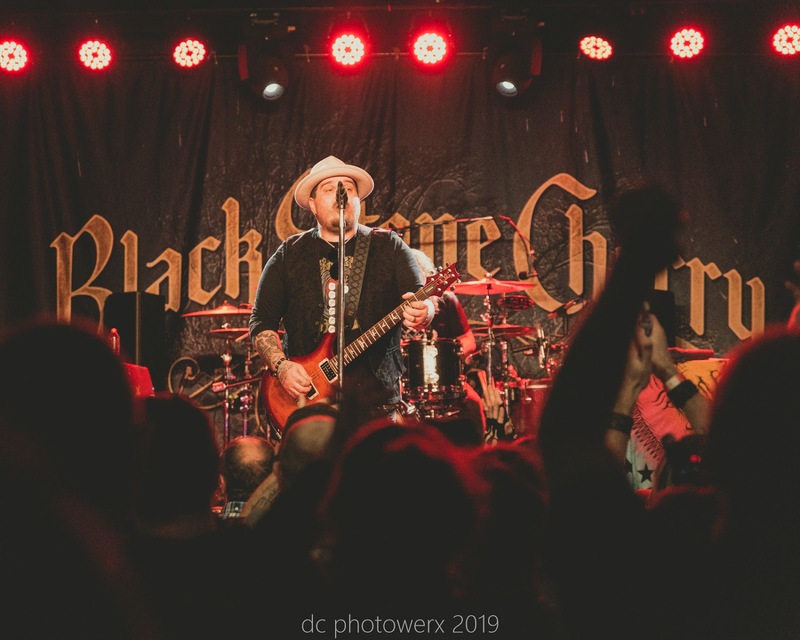 The tightness of Black Stone Cherry stems from the same four guys playing it hard and heavy since 2001. 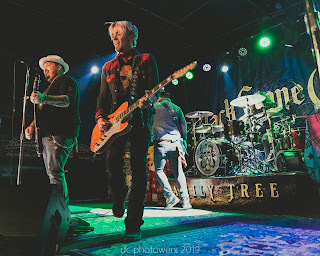 Tonight’s Cherry show had no signs of slowing, no acoustic breaks, no extended solos, just a triumph of rock! 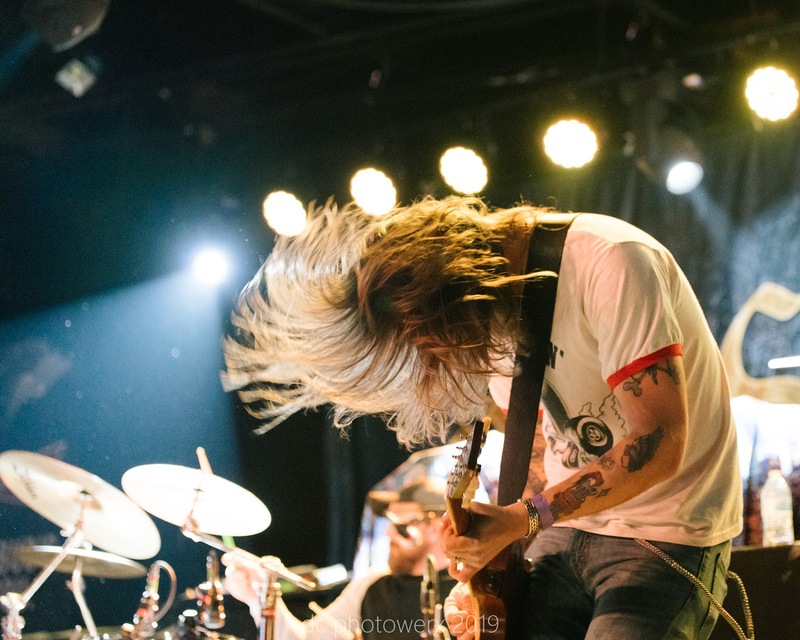 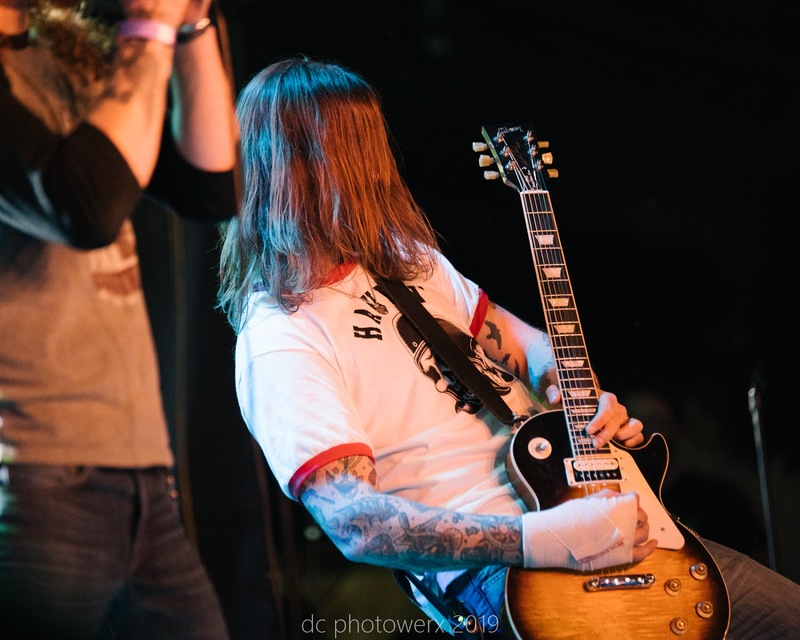 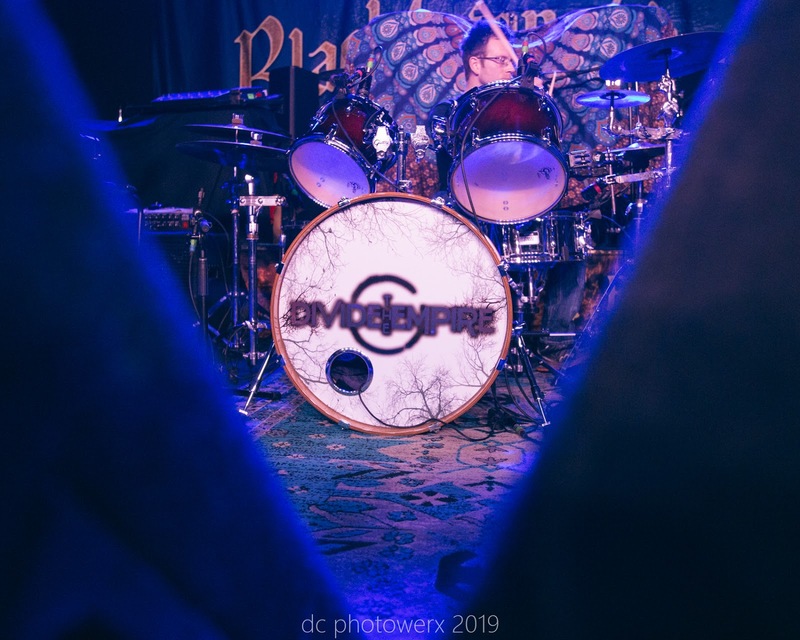 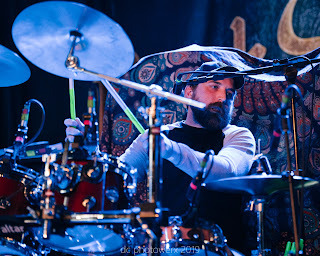 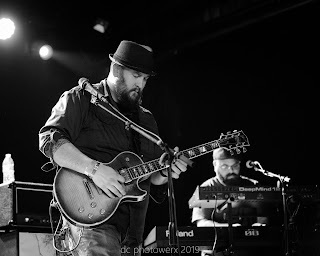 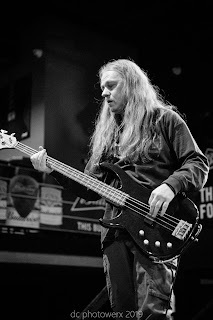 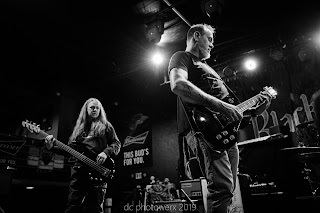 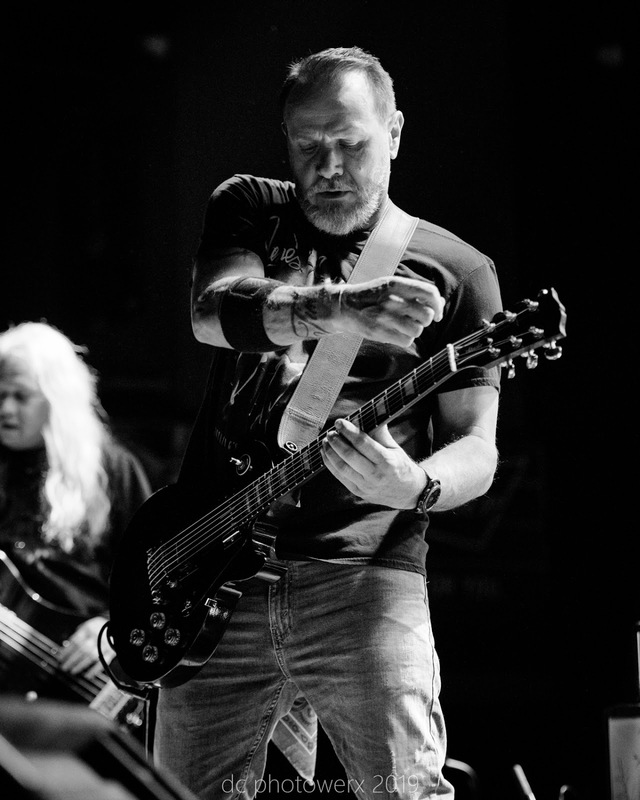 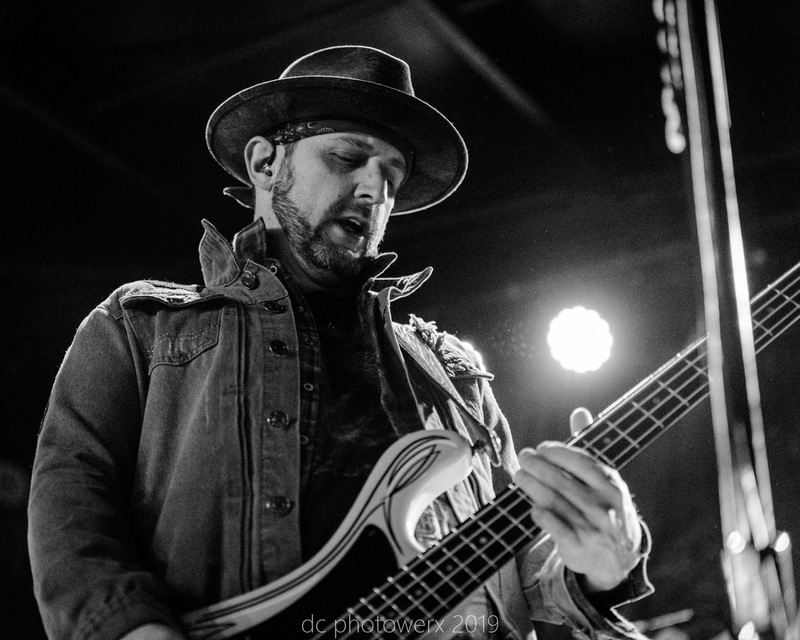 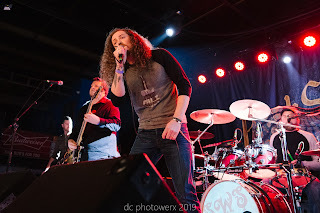 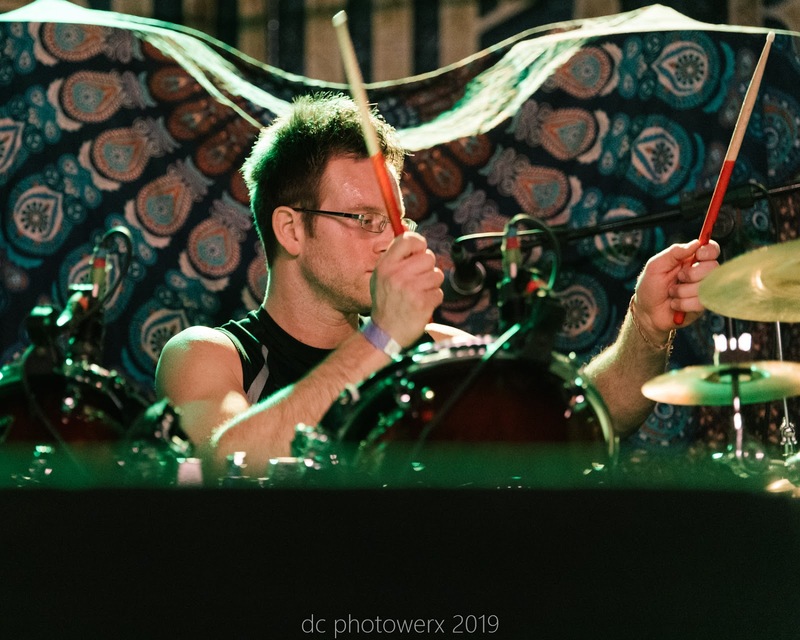 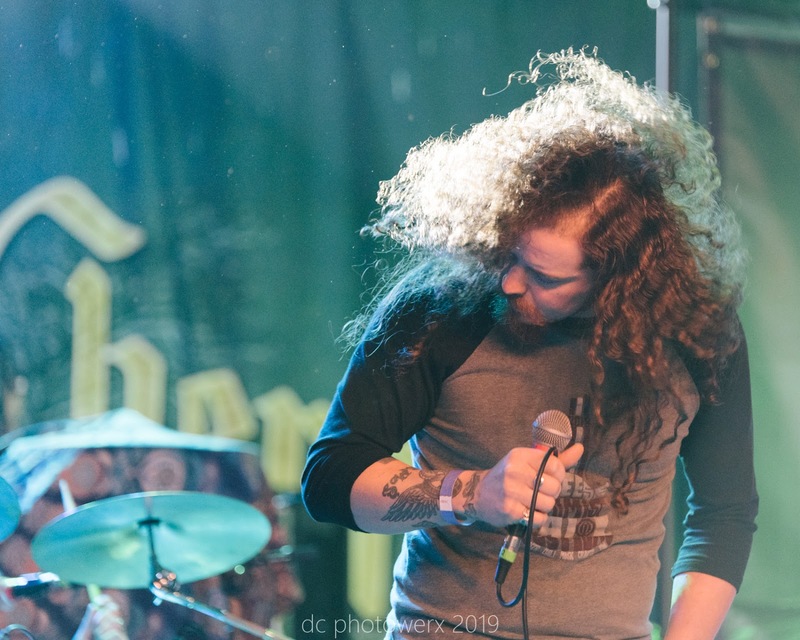 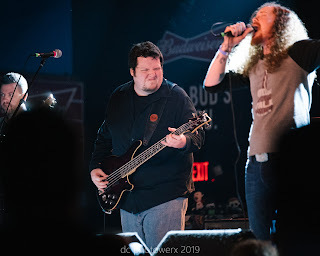 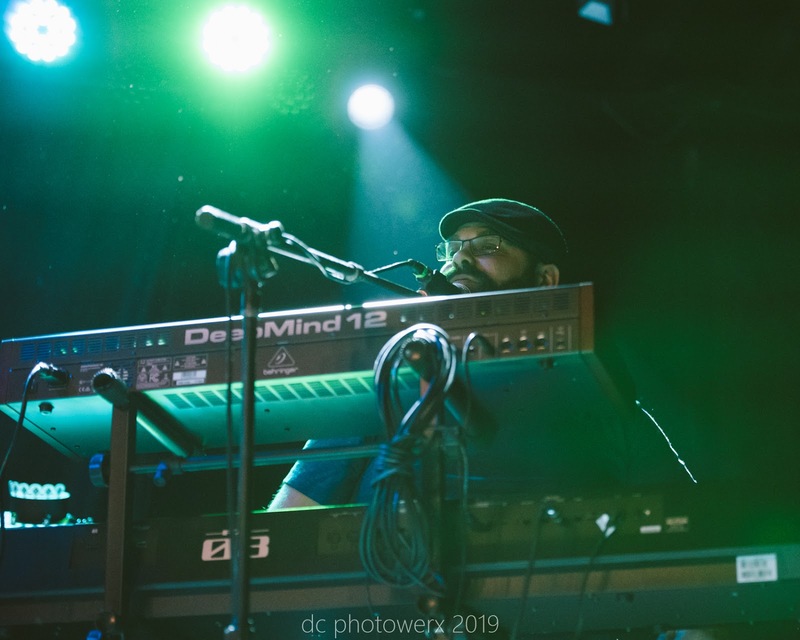 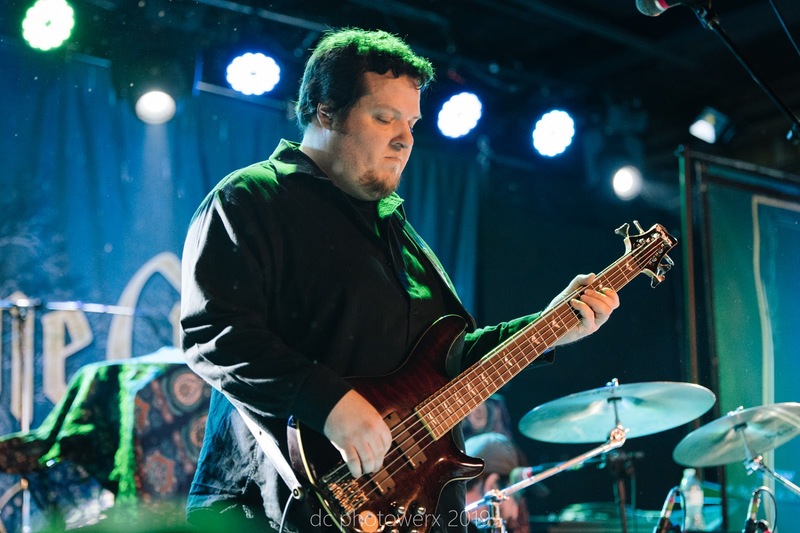 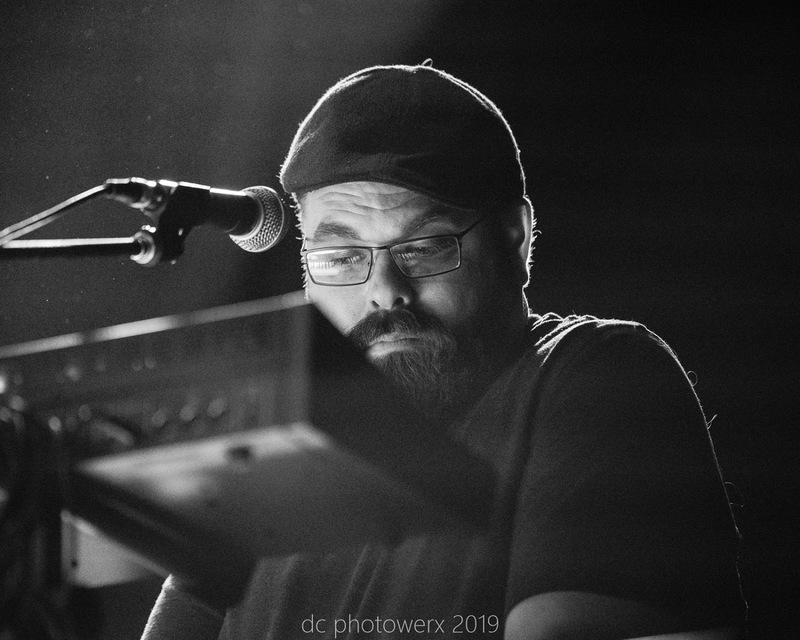 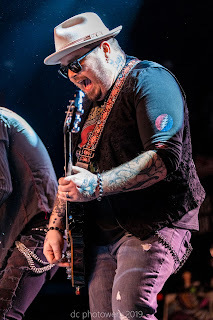 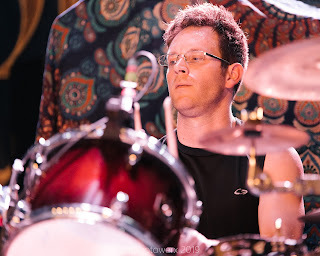 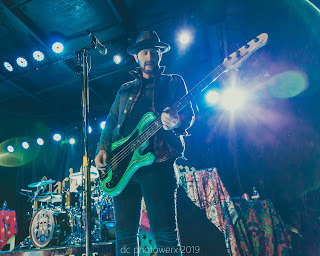 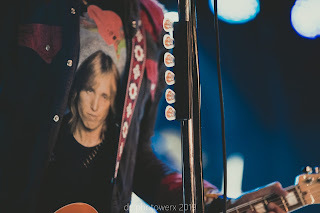 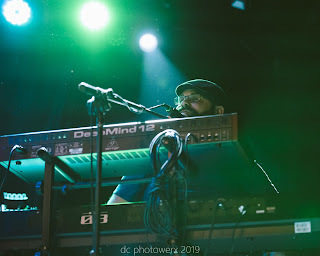 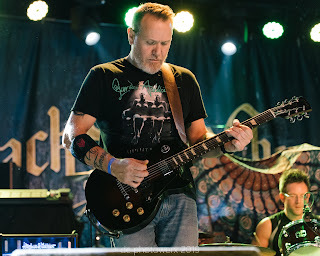 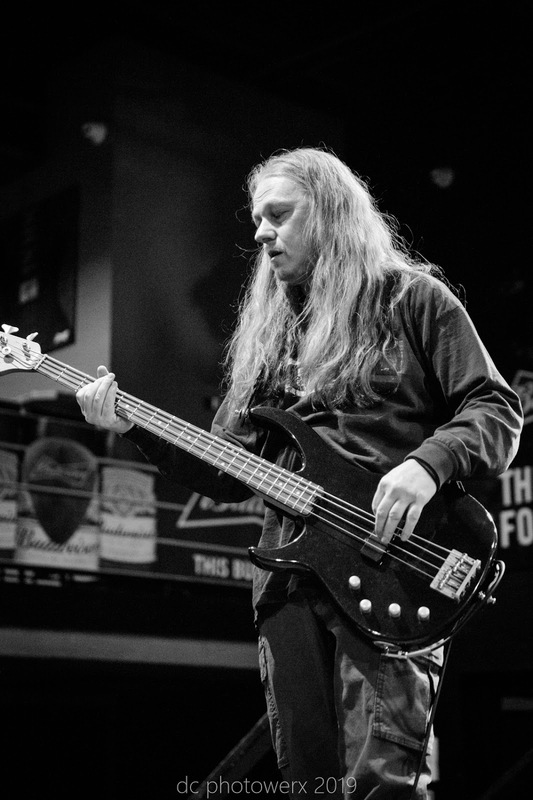 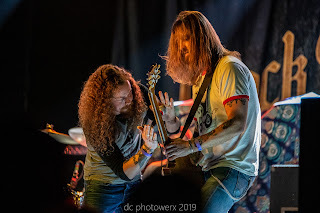 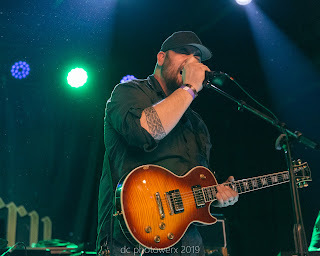 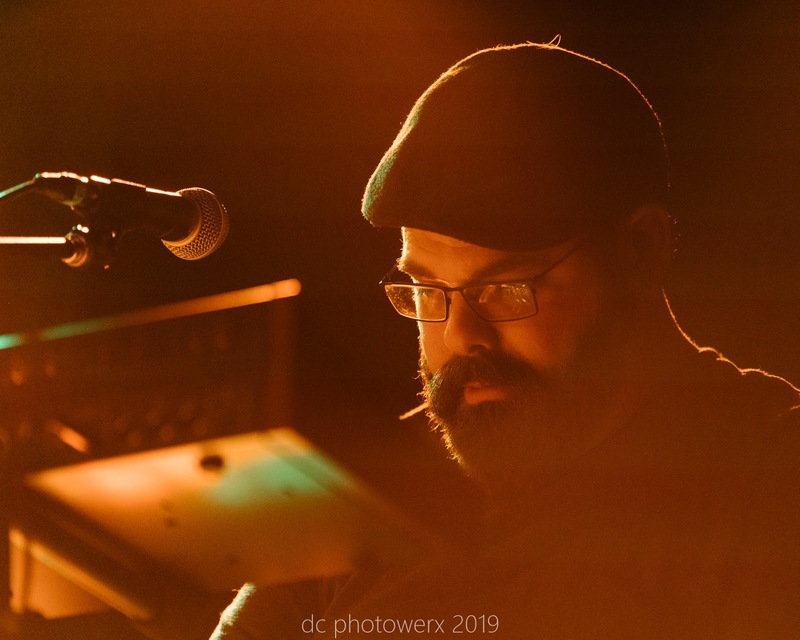 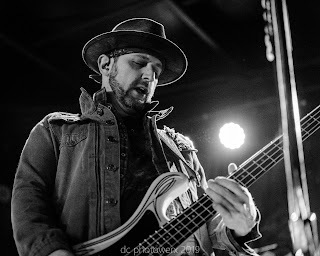 A delicate balance exists on stage, shifting between craziness of guitarist Ben Wells and drummer John Fred Young to the calmness of lead singer, Chris Robertson, and bassist, Jon Lawhorn. But it’s a balance that works perfectly! 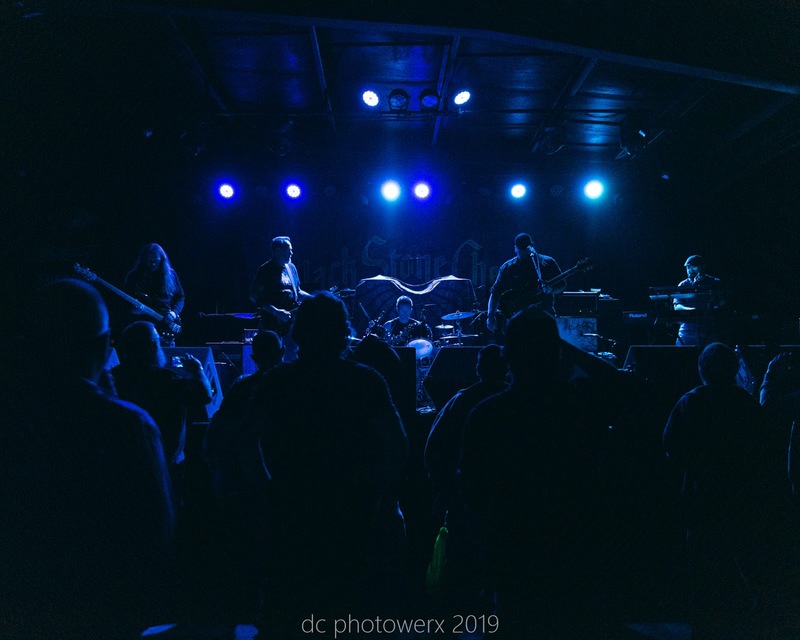 Before I wrap this up, I’d like to give a nod to the evenings opening bands, Divide the Empire and Stump Water Shine. 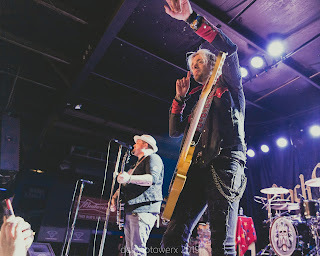 Both bands were complementary to Black Stone Cherry’s sound. 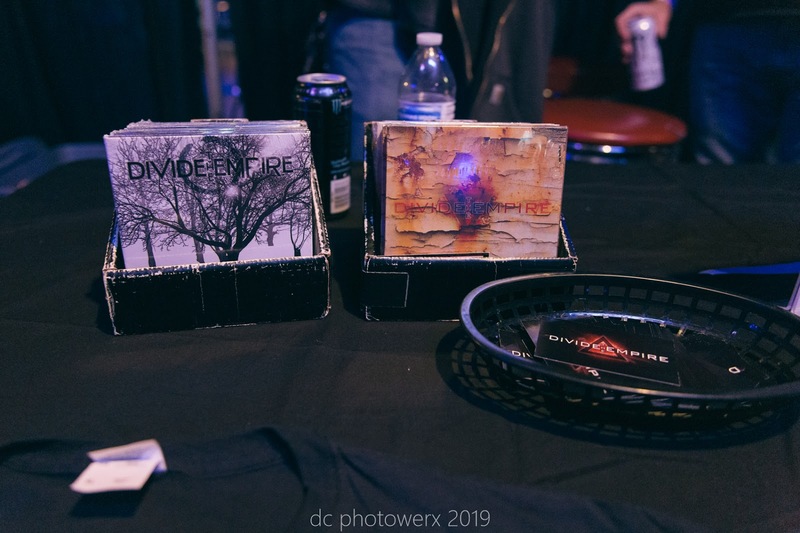 A majority of the members of Divide the Empire reside in and around the St. Louis metro area. They are currently working on new material in the studio. 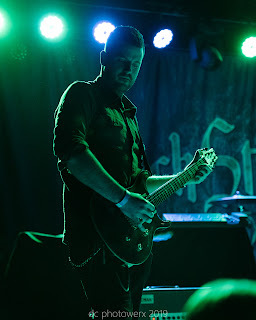 To find out more about, Divide the Empire you can find them on the interwebs at dividetheempire.com . 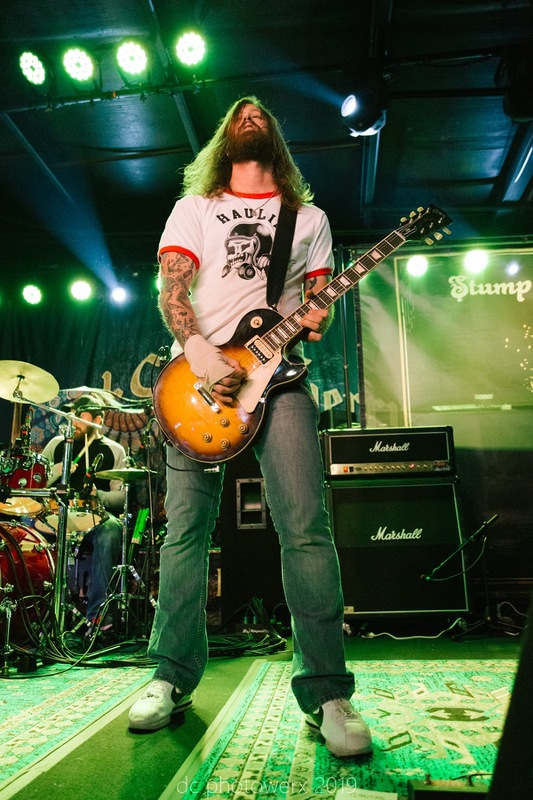 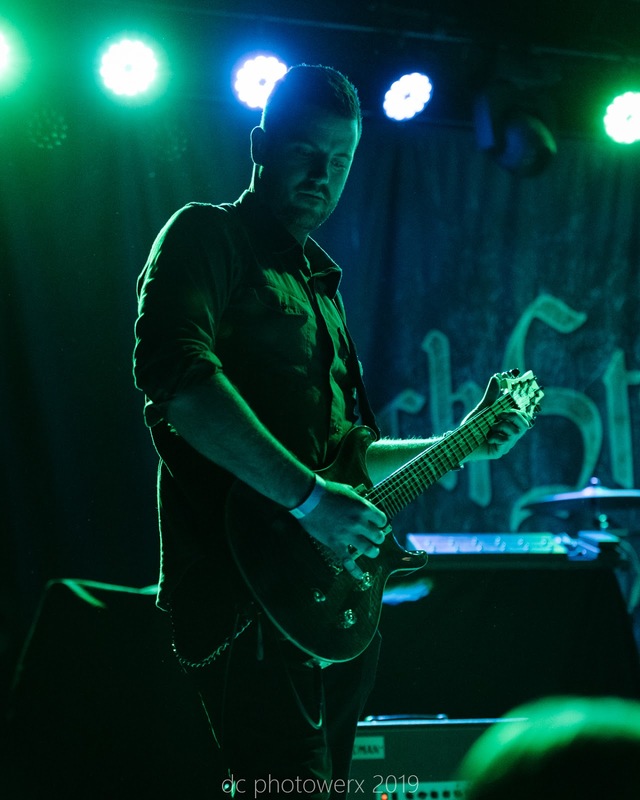 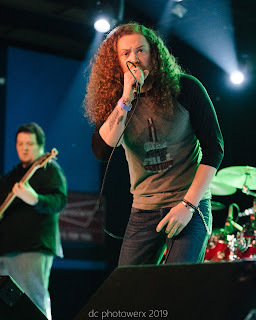 Stump Water Shine continues the Midwest rock vibe with their look and sound. If so inclined, check out their 2018 album, Controversial Conscience and you’ll hear what I have seen! 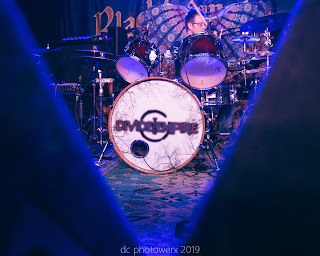 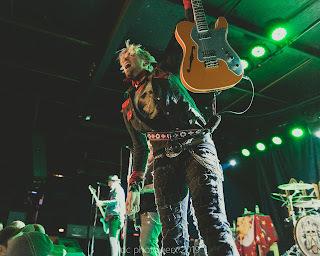 A big thanks to all of the bands for allowing MTC MAG to be in the house. 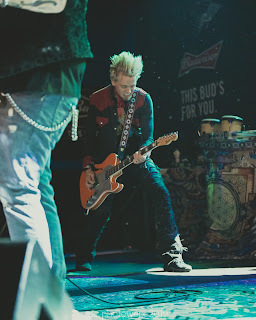 And thanks to Pop’s in Sauget, IL for providing the house!